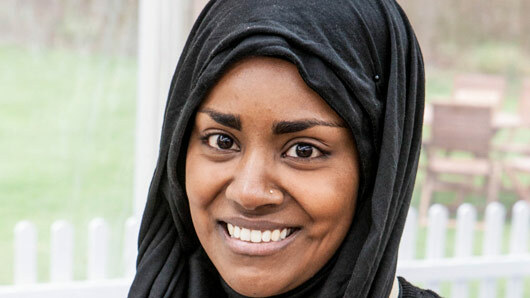 The Great British Bake Off winner Nadiya Hussain has said the popular baking competition “won’t be the same” on Channel 4. Speaking to the Daily Mirror, Hussain admitted she fears the revamped series could follow in the footsteps of Top Gear, which floundered after the departure of Jeremy Clarkson. Presenters Mel Giedroyc and Sue Perkins, alongside judge Mary Berry, all left Bake Off last year in response to the move to Channel 4. Only judge Paul Hollywood will make the switch across channels. Hussain said: “It certainly won’t be the same Bake Off, it’s going to change the whole Bake Off’ that we know, that I know. The one problem with humans is that we don’t like change and the second you change something that we love people freak out a little bit. I think Brexit got less coverage! The big-money battle for The Great British Bake Off was widely reported in September, after series producers Love Productions failed to agree an extension with broadcaster BBC. Channel 4 stepped up to the plate, offering a cool £75 million to take over the series, but somehow did not agree that all talent had to be on board in their deal. The Great British Bake Off will premiere on Channel 4 in 2018.